Communities get a big boost from local business during Small Business Saturday. As throngs crowd the mega shopping centers and department stores Friday, some store owners are gearing up for their big day Saturday. Small Business Saturday, developed by American Express, is meant to boost mom-and-pop stores around the country by crediting customers who buy those small businesses. "Everybody is doing corporate and big stores," said Kenny Sager with Austin Burke Menswear in Miami. "We're the small guy and we give back to the community. We're more intimate with our customers and our prices are right." The day boosts sales for businesses that might otherwise go under the radar. Black Friday and Cyber Monday may have to move over for Small Business Saturday, a day dedicated to supporting small, local businesses nationwide. Shopper Eleanor Huneke spoke about shopping when she was younger. "It's great because last year our business went up about for that week about 25 percent," Sager said. And aside from just bringing in the dough, the day boosts awareness for these shops and their surrounding neighborhoods. Small Business Saturday -- the annual event that encourages consumers to support independently-owned local businesses -- turned out to be a huge boost, South Florida shop owners say. NBC 6's Donna Rapado talks to Abe Ng, the owner of Pao Town, and John O Rourke, the owner of Montica Jewelry. 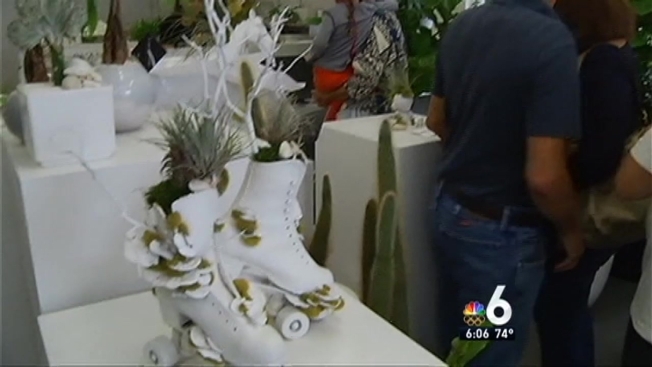 "This neighborhood used to be a concrete jungle and all of a sudden we're greening the area and bringing nature, trees and for us that's very helpful to the community," said Marcos Chamer, from Plant the Future in Wynwood. One advantage over the big stores? More personalized customer service. "I think you get personal attention and you get care and people know who you are, you know who they are." customer Sherri Poliakoff said. "If you got a problem there's someone to discuss it with, not some stranger and I think it's very important to the community." And the communities themselves are reaping the benefits of keeping businesses local. "It's proven that 52 percent of money spent by people locally in an independent situation like this, keeps that money in that neighborhood and in the area where you live, which is fantastic," said Steven Pressman, with Pill Box Pharmacies in Pembroke Pines.